The co-founder of Didelse, Maurizio Carminati, has behind studies and a curriculum as pianist but, landing in mechanical engineering, he has inaugurated a course that has led his company to stand out in the world, especially in the sector of reduction gears, manufactured upon job order. «Several engineers consider a gear just a gear. In fact, a gear is very often nothing but a gear. But if the engineer will look over the tip of his nose, he will discover the gear is one of the most interesting objects in the field of scientific researches, it is not one of the simplest mechanisms and it enjoys such properties that their examination, besides enhancing his technical knowledge, will also amuse him». With this quote, taken from the work by Ottorino Pomini – free lecturer of Machine Constructions at Milan Polytechnics and son of the founder of the homonymous Varese company – the engineer and entrepreneur Maurizio Carminati started his conversation with our editorial staff. Carminati, together with Edoardo Battistuz, is the co-founder of Didelse, that is to say one of the three souls of the Group bearing his surname. 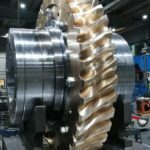 The company is specialized in particular in the design and manufacturing of special reduction gears («They are always tailor-made according to customers’ specifications, never mass-produced», underlined the interviewee) and in the supply of the opportune services that complete pre and after sales. The other two sister companies are instead historically focused on «high-level engineering, automation and machines for cleaning and grinding metals (Ci-Tech), high-precision machining operations, dimensional controls and assemblies of special machines (Carminati srl)». In conformity with the image outlined by Mr Pomini and coherently with his personal convictions, the President highlighted with his remarks some typical aspects and dynamics not only of his reference sector but more in general of the contemporaneous industry, often driven by strong innovative boosts. If the target shared by the majority is reaching more and more outstanding and ambitious levels, then methodologies necessarily acquire a role of utmost relevance. 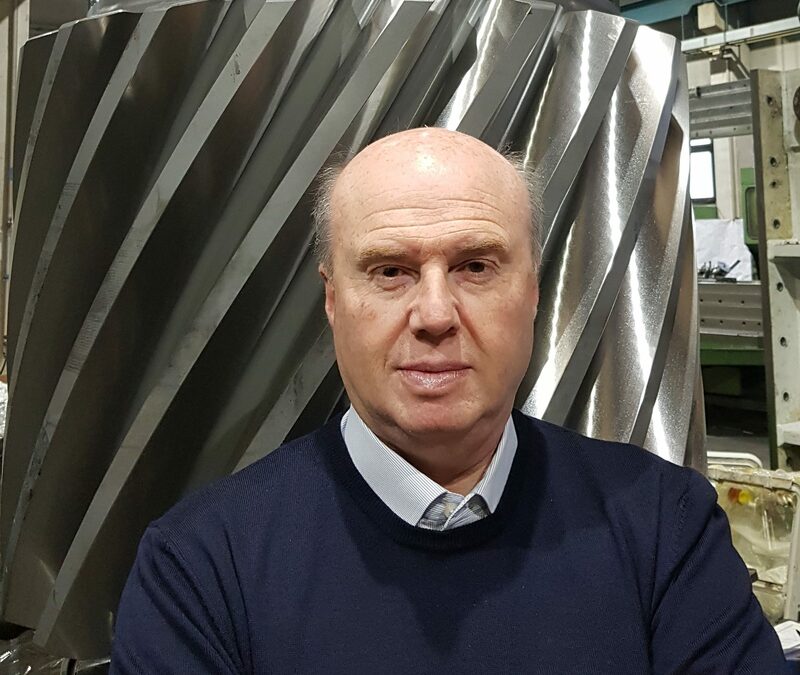 Turning to the most advanced calculation systems, and to a constant improvement research based on reliability analyses, is the bearing pillar of Didelse’s strategy, headquarters at Rescaldina, in Milan province. Moreover, they go hand in hand with the adoption and the development of opportune technological solutions for the monitoring of performances, according to the dictates expressed by Industry 4.0 philosophy. Maurizio Carminati, together with Edoardo Battistuz, is co-founder of Didelse. The complexity of the gear and of the bearings in their box, i.e. of the reduction gear, in Carminati’s vision «is growing and actually unceasing ». Moreover, in a panorama where, in his opinion «it is too often customary selling engineering by weight, by volume» and therefore not according to the real values at stake, it generates at the same time challenges and opportunities worth seizing. «Intellect», said the entrepreneur, fond of flying and with a past as piano player, «is currently one of the very few goods of which it is impossible to calculate the weight; and for that reason we can state its value is growing». However, provided that the intellectual effort is supported by suitable and efficacious instruments. «Today», added Maurizio Carminati, «we can make use of calculation tools that allow going beyond and must be exploited in all of their potentialities. This is what we are committed to, progressively refining the precision of our calculation models and extending them to the broadest possible array of our activities. The concept in fact – proven by facts –is that a better design calculation precision generally corresponds to a cost decrease. Whereas a wrong sizing of components can mean for a manufacturer the ouster from the market». The practical example, to see Carminati’s thought in concrete, promptly came. 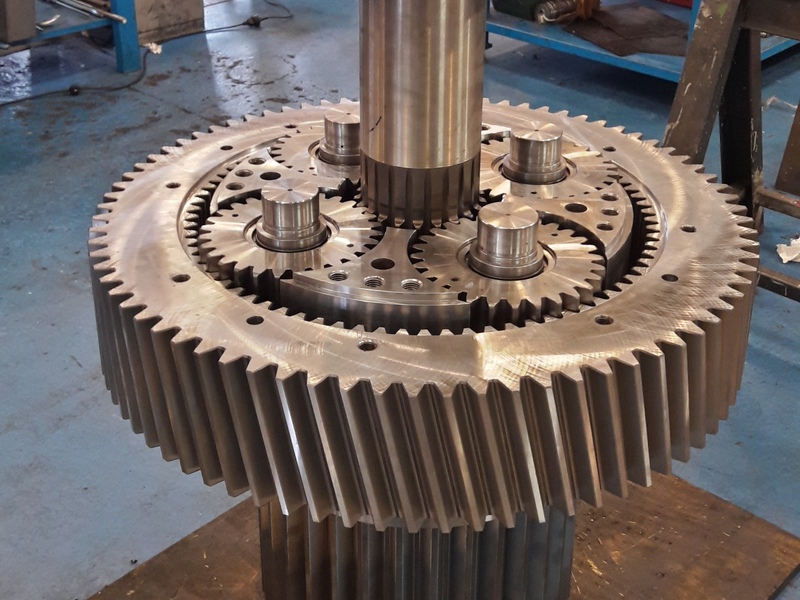 «Gears», he pointed out, «are based on the concept of module and therefore of the size of each tooth positioned on a determinate diameter. If they were integrated in a suitable casing for being subjected to deformation and assembled on shafts that bend under load, then it would be necessary that calculation parameters change, to avoid the failure of a design. Concerning our way of proceeding, our customers – in fields that range from the iron and steel industry to the food sector and encompass the processing of rubbers and plastics, just to mention some of them – provide us with “figures”, which let us focus our attention on load spectra, which are typical of each use. Starting from them, we begin to size gears and shafts; afterwards we decide the design of bearings. 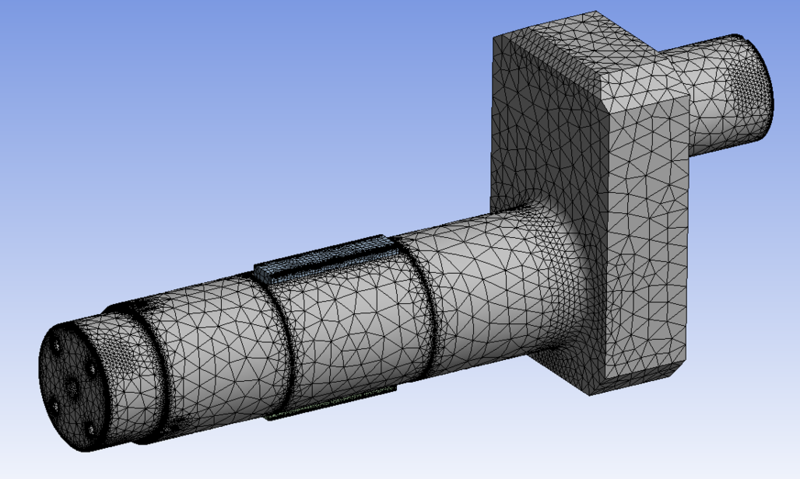 Then we carry out opportune FEM (Finite Element Method) analysis on the case and on shafts, imposing workloads to these elements and finally assessing the results under the effect of the deformations caused by these same loads. In short, we calculate by simulating». FEM analysis on shear shaft. Information application software are very likely to represent the core of the strategy outlined by Maurizio Carminati and, essentially, of the entire logics of the fourth industrial revolution. It has been fully adopted by Didelse, where in time they have installed almost all licenses of standard packages in the design market. Those that, in other words, in the owner’s opinion, «assured us the best warranties in terms of compliance with specifications», but whose use must be anyway completed by the mastery of competences of different tenor. We must always bear in mind Pomini’s lesson on the complexity of reduction gears and the one by Carminati when he affirms the higher is the precision of calculations the lower, usually, are manufacturing costs». All that is well-known to Rescaldina company in virtue of its experience as supplier of products and services. Another matter, on the contrary, is whether this is clear to customers. «Sometimes», Carminati in fact reminded, «end uses have not a precise idea of the performance levels of the machines on which reduction gears are installed, irrespective of their brand. This can be the cause of serious accidents provoked by a fast wear of reduction gears themselves; vice versa, you have to deal with the usual old oversizing, which exerts easily guessable negative economic repercussions». Precisely the solutions of the problems highlighted by customers, once more, have given birth to some applications of remote monitoring and non-, able to anticipate some of the outstanding trends of Industry 4.0. «In 2012, on the occasion of the review of a supply of reduction gears», explained the president of Carminati Group, «we developed a StressBox (a sort of black box, on the false line of the aeronautical one, to be applied to reduction gears) for the registration of data concerning loads, vibrations, lubrication and temperatures of bearings. Just in the case of steelworks, for instance, we noticed that a nocturnal anomaly of the oil heating system was responsible for problems that affected the bearings of a reduction gear. Nowadays the StressBox has so evolved that, connecting it to the motor driver, it helps us in identifying an eventual oversizing or not of reduction gears». 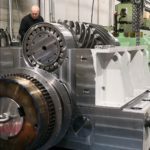 In the opinion of Maurizio Carminati, the complexity of the gear and of bearings in their box, that is to say of the reduction gear, is growing and actually unceasing. The innovation, stemmed to face a situation of specific difficulty, in time has become integral part of the offer by Didelse and by the Group in the service field and from time to time it has been proposed successfully to other commercial partners in the world. «Today the information exchange between the StressBox and corporate managerial software occurs online in remote», further added Carminati, «whereas previously the collected information were transferred every five seconds, in the arc of an entire year, to a USB memory support». The process efficacy has been determinant for its success on a world scale. «It was an architecture 4.0 that neatly anticipated times», so he comments, «and nowadays, among its most relevant installations, one was performed in Kazakhstan in one of the biggest steelworks in the world. All that we have seen is the fruit of an all-round vision indeed. Carminati in fact said he strongly believes that manufacturing processes must always be orchestrated properly by engineering and by a good design, upstream. Anyway, he can rely on a previous heritage of experiences that have led him to approach manifold industrial sectors and to draw inspiration from each of them. He operated on test machines for aeronautics – «where clearly the design precision is an irremissible requisite» – and he worked at the design of seismic simulators. Moreover, if we speak of automation 4.0 and Internet of Things, coherently with what we could deduce until now, he can be defined a real pioneer in these issues, too. «Already in 1984, when the personal computer still was almost a stranger», he said in conclusion, «I had connected in net all the machines equipping the family-owned mechanical machining workshop». From here started the vicissitudes of Didelme Engineering, first, and successively of Didelse: a novel that naturally promises to unravel along several other chapters.